« Busted! We Love Scrap Crazy 6! I like the quilt with black best, but all are neat. I love it in the blues and browns! Nice work! I’ve been a big fan of Kona Cotton for 30 years. I’ve even had multiple orders of 10 yards plus of Kona Cotton delivered to me while on vacation in Kona, Hawaii! Love the idea of using all the shades of Kona Cotton in Spin City. 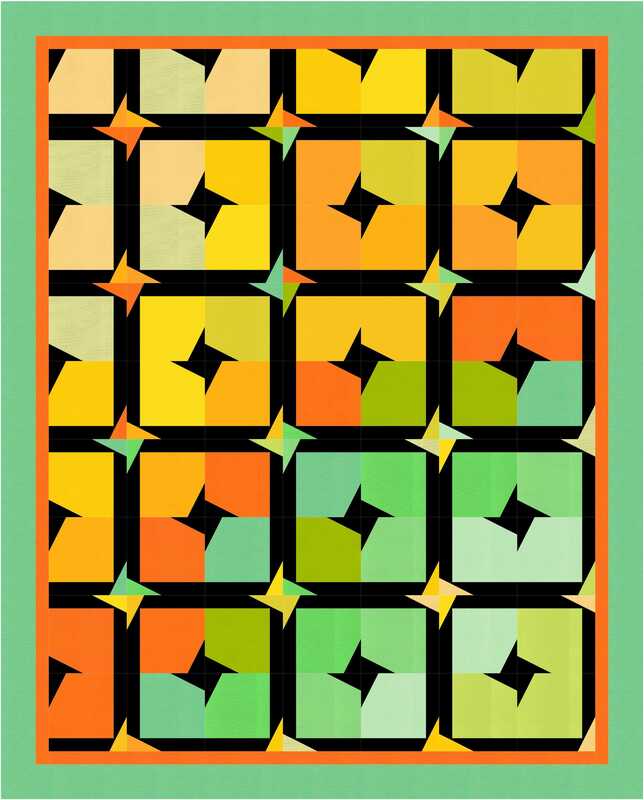 Hmmmmm, now how did I miss seeing the Spin City quilt pattern? I love it in the citrus colors. Kona Cotton is my very favorite blenders to use for that special color you can’t find to bring the whole quilt together. Oh do I want those Kona solids I’m going to get that book. Love Spin City the way the colors fade. Lovely to see those colours on such a dreary day! I am trying to use more solids because they’re so beautiful, but it’s tricky! I would love to wake up under this cheery quilt! Totally inspiring. I love your quilt! Thank you for the giveaway. 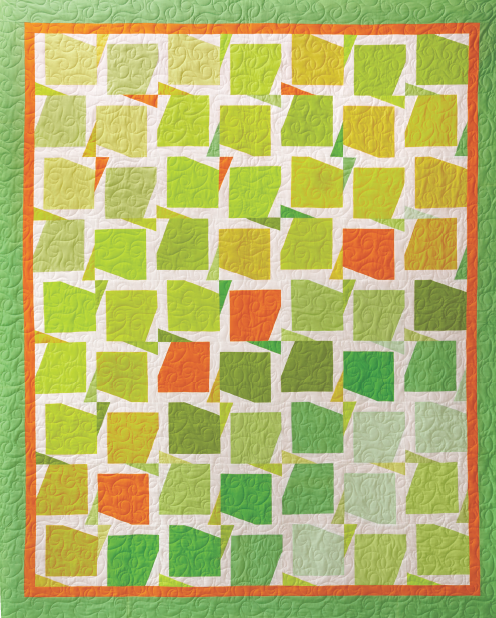 Love Kona colors, and a solid in your quilt is always a good idea. Thanks for the giveaway. i always enjoy giveaway!!!!! Your quilt is very spring. I like it! Love this idea and can’t WAIT to see all of the wonderful creations. 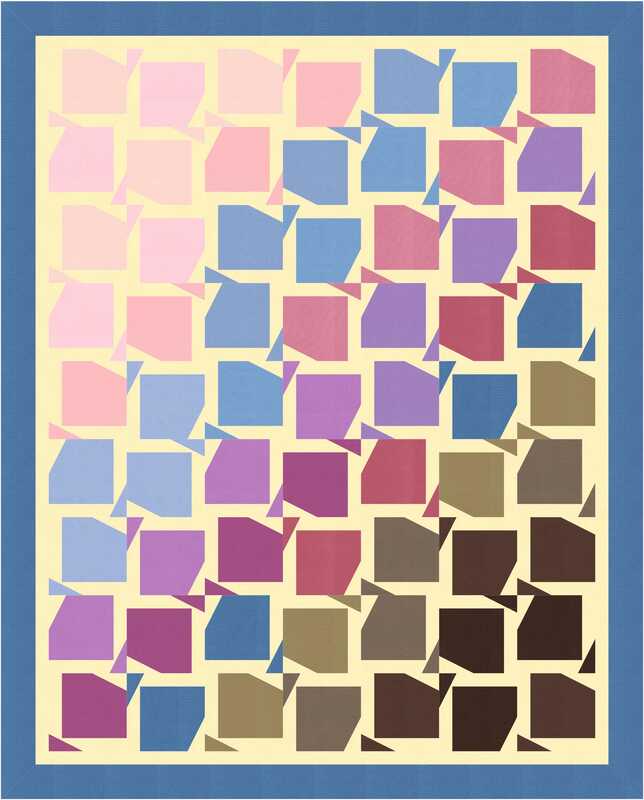 Love your use of color in your quilt! I would always buy Kona black for the acsents on my quilts. I Iwould always buy it by the bolt. That way I always knew they would match I also use Kona snow for my 30 quilts. Now I am glad to know I have a total of 303 choices. Quilting just got better..
What a refreshing quilt, and I wasn’t much of a solid fabric fan, but I really love what you have done with it.